When it comes to your health and the health of your family, you want to feel comfortable and at-ease about the care you receive. From routine medical services to pre-operative evaluations, it's important to find an experienced doctor you can trust. 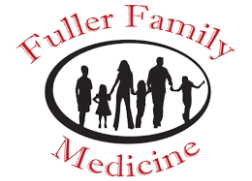 Whether you need individual care or medical services for the entire family, you can rely on Fuller Family Medicine for top-notch health care services in a safe and friendly environment. Contact us today to learn more about our health care services. We're located in West End Billings and serve parts of Wyoming and Idaho. Whether your child requires vaccinations prior to the start of the school year or you need a DOT exam, our staff warmly welcomes you to visit our family practice. Call now to schedule a same-day appointment at our clinic. We're also pleased to offer DOT and CDL exams at our clinic. Whether you are seeking allergy relief care or need an annual physical, you can rely on Fuller Family Medicine for quality care services. Visit our clinic today to speak with our staff about your medical needs. Copyright © 2019 Fuller Family Medicine, all rights reserved.